Harry just gave me a few more old magazines and catalogs - I guess after 15 years they stopped being interesting bathroom reading for him. Anyhow, this little pamphlet caught my eye. Early 90's, probably around 1991 or 1992 based on the materials it came with. 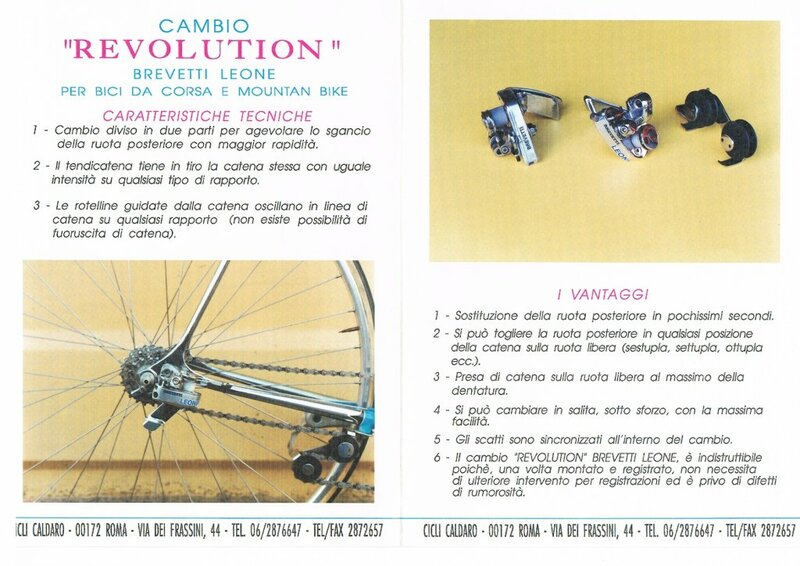 A new, totally Italian patent derailleur! 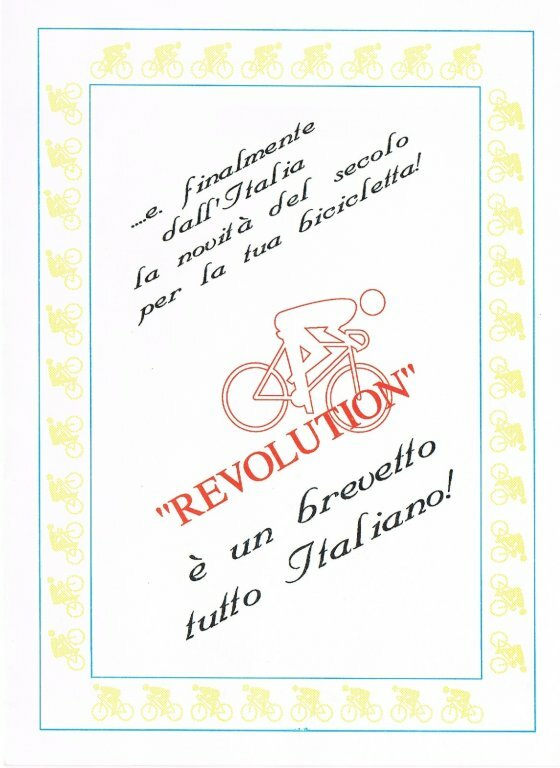 I can only assume this was one Italian bike shop's response to the adoption of the formerly Suntour patented slant parallelogram by Campagnolo. That the revolution came in something that clearly owes much to the Vittoria, Oscar Egg and Simplex derailleurs of the 1930's and 1940's, I can't explain. I've never heard of this derailleur before, never seen one, and would be more than a little surprised if they were ever really available. Does anyone know anything beyond whats in the booklet?